Christy has produced dozens of events and can help you coordinate your next conference, festival, wedding, fundraiser, concert, race, or any type of special event. Together, we will develop a compelling event concept that will meet your goals and exceed your expectations. Christy has planned, coordinated and hosted numerous kinds of celebrations. 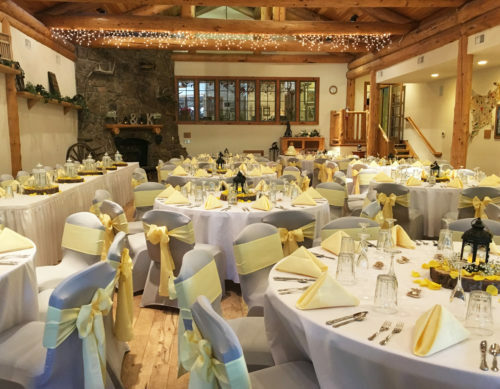 She can organize all details relating to special event planning including venue rental, vendor coordination, catering, room set-up, decor, agenda, activities and customer relations. What is the secret to creating a successful event? Personable service, integrity, efficiency, resourcefulness are all key to success with event production. It is all about the feeling someone has when they attend your special event. Was it entertaining, educational or worth their time and money? What unexpected delights did they walk away with? It’s the little things and special details that make all the difference. Wether it is a private or public event, Christy will help create a magical and memorable event for you! 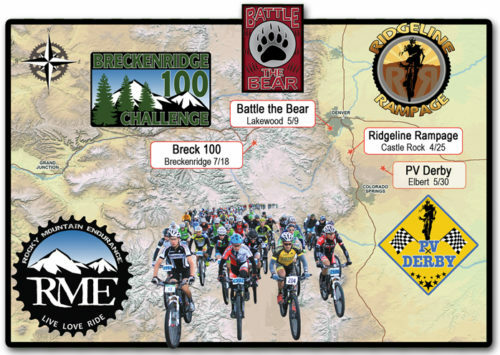 Christy was the Event Coordinator and Marketing Director for the Rocky Mountain Endurance MTB Race Series, organizing all aspects of these high-energy weekend events. 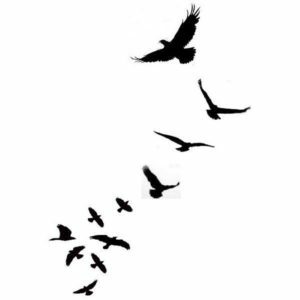 From permitting, staffing, sponsorship, course mapping and logistics – to graphic design, media, marketing, ad placement and promotions, Christy can manage it all! She designed the event logos, custom apparel and all advertisements for print and web – always negotiating the best deals and industry trade to get the best bang for your advertising buck! Christy also produced the inaugural Malt Monster 5K for Fort Collins Brewery, which was a huge success gaining tremendous media attention. Runners were encouraged to dress up in costumes and received a sports backpack, drink tickets and enjoyed post-race shenanigans at the brewery with Halloween inspired games and activities. 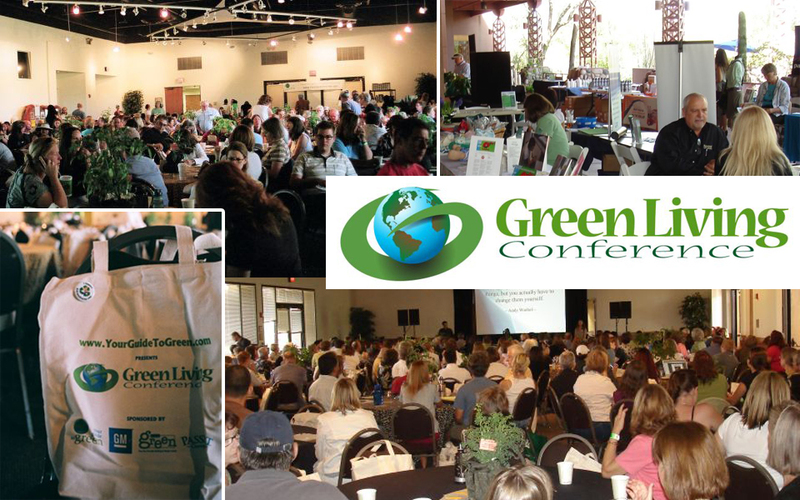 Christy has solely produced highly successful Green Living Conferences at the Phoenix Zoo Pavilion two years in a row. Over 400 attendees enjoyed hearing numerous well-known authors and speakers who presented valuable information on permaculture and sustainable living. Dozens of like-minded vendors and organizations supported the sold-out events, which also included a fully catered lunch by Green. Christy had a crazy idea to hold a 12-hour women’s conference just 10 days before Christmas. After investing much time and energy into creating this epic event, she was concerned there would not be enough interest or registered participants to make it all happen. However, with some creative marketing and community connections, this special women’s event was sold out within a couple of weeks! 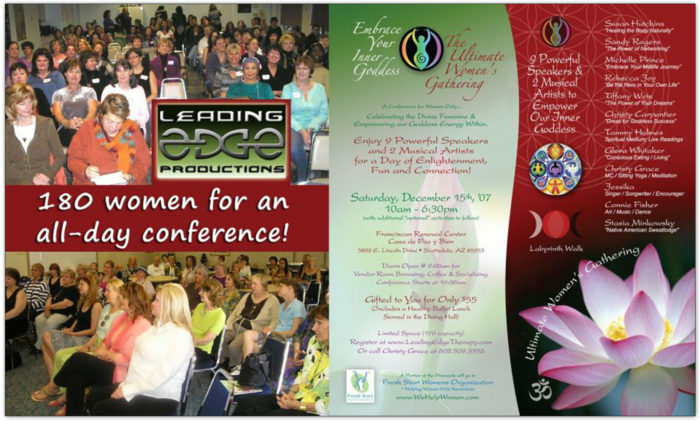 Christy has produced numerous women’s gatherings, retreats and conferences over the years. She has a special place in her heart for creating a program to empower others – especially women and youth – to recognize their gifts, talents and abilities, and to share with their community. Christy would love to collaborate with YOU to create a spectacular event that will “WOW” your participants. Contact Christy to discuss your project.